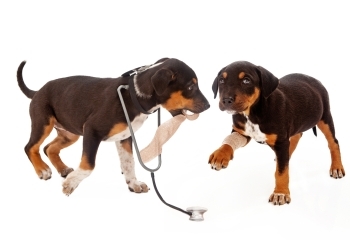 What Are Pet Accident Plans & What Do They Cover? Even if you keep a close eye on your furry family members, accidents can still happen. In 2014, the ASPCA’s Animal Control Center handled more than 167,000 calls that involved pets who were exposed to poisonous substances. 16 percent of those calls were related to accidental ingestion of human medications. Curious kittens and puppies tend to chew and swallow harmful items. Pets can accidentally ingest toxic household cleaners and human food, such as chocolate, is life-threatening for animals. By purchasing an Accident Only pet insurance plan, your pets are covered for unexpected emergency accidents and injuries. Pets Best offers a budget-friendly Accident Only plan for both dogs and cats. Some animal breeds tend to be more playful and energetic, and are known for getting into mischief. For example, Beagles are escape artist dogs and Australian Shepherds love to jump over high fences which increase their chance of injury. If you live in rural/remote areas, especially in the southern or southwestern U.S, your pets could be at risk for snake bites. Pet MD reports there are fifteen different species of poisonous rattlesnakes in the United States. Even if you supervise pets, accidents can still happen while out walking your dog or at the dog park. Pet Guardian Angels of America report that the most common injuries in dogs and cats include lacerations, bite wounds, torn nails, insect stings and bites, abrasions, and punctures (caused by a sharp nail or broken glass). Accident plans do not cover illnesses such as cancer, allergies, diabetes, and kidney failure. For comprehensive pet insurance coverage, look into Accident & Illness plans which also cover illnesses and hereditary/congenital conditions. An accident only pet insurance plan is an affordable option, especially for those who are on a tight budget, whose main concern is injuries, have a senior pet with pre-existing illnesses, or have numerous pets they want to insure. Before purchasing an Accident Only plan, make sure it’s the best option for your pets. Some breeds are prone to develop medical conditions over time so it may be more cost-effective to have an Accident & Illness policy. Another option is to add routine care coverage to an Accident Only policy. A wellness plan covers routine vet care such as vaccinations, a dental cleaning, and flea/tick preventatives. Remember that pet insurance providers do not cover pre-existing conditions so it’s always a good idea to insure pets when they are young. With Pets Best, you can insure cats and dogs as young as 7 weeks old up to any age. As pet parents, you want to do everything possible to make sure your pets are safe and healthy. By purchasing an Accident Only policy, you can rest easy that your pets’ medical needs are immediately taken care of in case of a sudden emergency or accident.